Irish playwright Martin McDonagh's The Beauty Queen of Leenane is equal parts hilarious dark comedy and devastating tragedy, in the way that only a good Irish play can be. In their second play in partnership with Park Square Theatre, Theatre Pro Rata presents an excellent production of this dramedy, with a terrific four-person ensemble cast directed by Artistic Director Carin Bratlie Wethern on a set that looks realistic and lived-in. 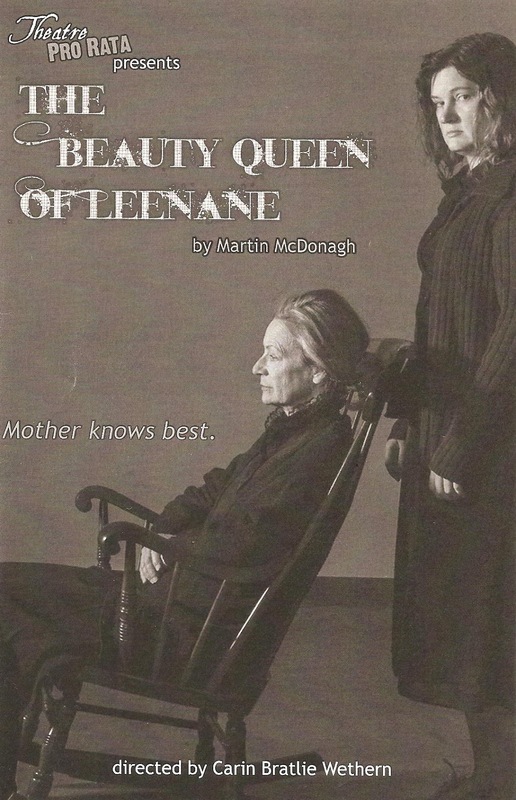 It's my first play of 2016, and if The Beauty Queen of Leenane is any indication, it's going to be another great year for theater in this town! The play centers around a dysfunctional codependent mother-daughter relationship in a cottage in a small town in Ireland, where both of them are stuck. Due to her "urine infection," bad back, and other ailments, Maureen is forced to wait on her mother hand and foot. 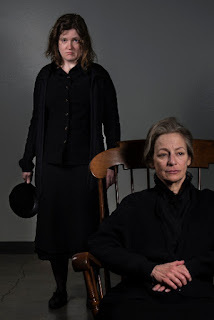 This creates resentment on both sides, and while at the beginning of the play I sympathized with Maureen for the way her mother treats her, by the end of the play I felt differently. We soon find out that Maureen also plays a role in this horrifyingly unpleasant relationship. When an old boyfriend comes home from England, Maureen has a glimpse of a better life, just beyond her grasp. I laughed, I cringed, and my heart broke for these damaged people who want to get out and live a better life, but just can't quite achieve it. The claustrophic and shabby world of Mag and Maureen is beautifully represented on Park Square's basement thrust stage. Andrea Heilman has designed a set with a clearly cottage delineated space, and just hints of the walls that close in on the characters. The kitchen, sink, and stove help create a lived-in space, along with Mag's favorite (and less favorite) Irish foods. A beautifully written play that's as funny as it is devastating, that bittersweet uniquely Irish feeling, a terrific cast, spot-on direction, and a realistic set for them to play on. What better way to start the new year of drama?! 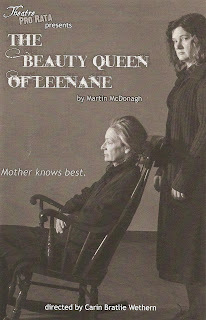 The Beauty Queen of Leenane continues through January 24 on Park Square Theatre's Boss Stage.